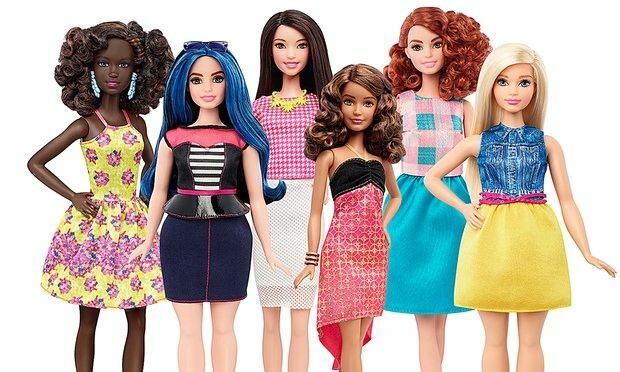 It is no secret that over the years, Barbie has been target to lots of body image and dangerously unrealistic messages sent to the children playing with them. Between the 50 years since Barbie first graced the toy store shelves, we have loved them, hate them, become hairdressers to them and even melted them but it would be an ignorant move to ignore that there is something about having toy dolls that most kids do love. Due to the huge amount of backlash received about the hugely unrealistic body proportions and how it has been the root of childhood dysfunctional body ideals. So in 2016, we see the release of the new, improved, realistic Barbie doll and she has never looked so good! This Barbie evolution is super exciting and makes for a fresher childhood for lots of children everywhere as they no longer have to idolise a doll that wouldn’t even have proportions to stay stood upright, let alone stay alive in the real world. Once more, by having a choice it teaches the new generation of doll lovers that it is okay to be different and that everyone comes in different shapes and sizes rather than aiming to be just one size! We’re sure even adults will want this new doll as it is really pretty cool! Looking To Squeeze In Some Extra Exercise? Google Has You Covered! Find Out How Here! Google's venture looks to improve their calendar application to allow you to find time to fit in that extra workout or a bit of revision or whatever it is you may wish to do.